Steamrollers are meant to make things flat. Rhinos are content with wrinkly land, so We don’t need them. 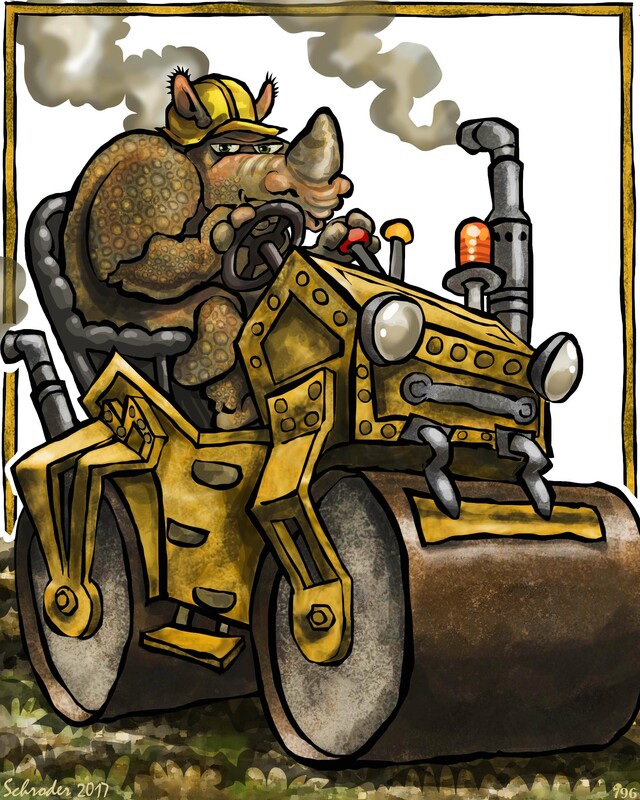 Need them or not, We appreciate how big and rumbly and on-the-job steamrollers are. Outstanding. Where the steam comes in, We don’t know.